It takes an army of highly trained and talented people to make an event like the adidas INFINITE TRAILS World Championships a success. Even after selecting a location and going through the time consuming process of gaining permission from landowners – over 330 kind owners have given permission in the Gastein Valley – there is a huge amount of work that must go into pulling off something of this scale. You need course designers who plan the routes through many kilometers of mountain paths, wooded ways and village streets. You need a highly dedicated and skilled team who makes the whole event tick from start to finish, but in addition to these and a multitude of volunteers, you need a Course and Sweep Manager who is responsible for monitoring the race and ensuring runner safety both before and during the run. The role of Course and Sweep Manager is a vital one to guarantee a safe weekend and to ensure that athletes are taken off the course when necessary. For the adidas INFINITE TRAILS World Championships in 2019 this responsibility will fall on the very capable and broad shoulders of Jan Regenfuss. I got the chance to interview Jan about the event, the region of Gastein, and the meaning of his last name. Since my limited German skills told me that Regenfuss means “Rain foot,” I had to ask him about it and he was nice enough to humor me. Jan’s name is just one part of what makes him a perfect addition to the 2019 adidas INFINITE TRAILS World Championships team. 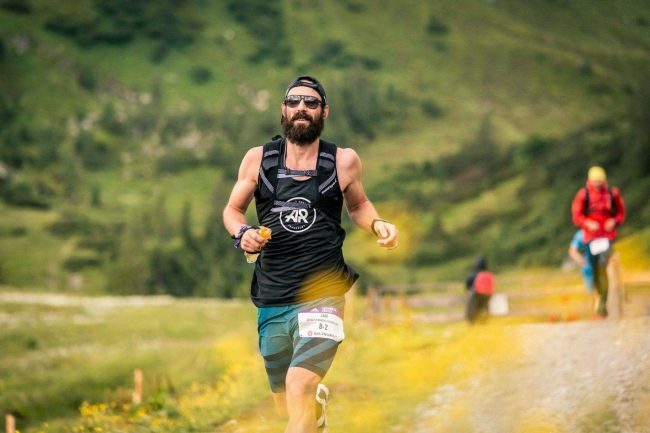 He was also a fabulous choice for this position due to his own experience as a Race Director at triathlon events and the fact that he is himself an accomplished trail runner and dedicated athlete. Mr. “Move Your Foot” is from middle Germany and now lives near Frankfurt but often travels to fulfill his sporting needs. 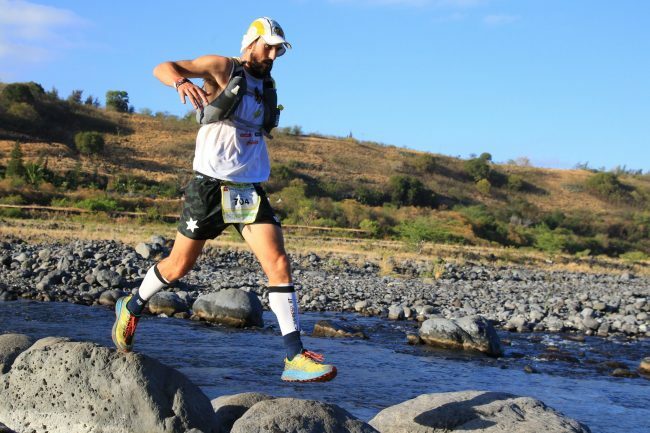 His ambitions as an athlete go back to his teen years when he started participating in triathlons but for many years he wasn’t interested in outdoor extreme sports. In 2010 that changed and he started backpacking, snowboarding, mountain biking and finally trail running. Why did he head to the mountains after years of street running? “I had enough of just doing my 20k in the pool, doing 350k a week on the streets and hoping not to get hit by a car and the whole time running was all about heart rate, lactate and speed,” he explained. His love for the sport of trail running is a new one and was formed nearly out of pure coincidence. “I got into trail running just four years ago. I worked with some running bloggers and organized a little trailrun with them. These people inspired me to come back to do some trail running events. 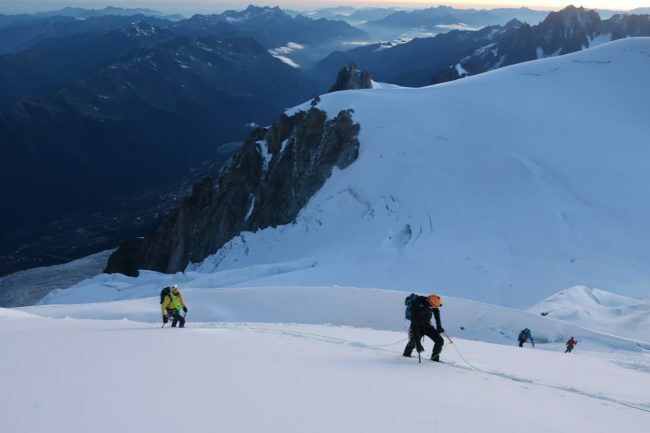 So I started to train for my first 100 mile race across the alps,” he said. “It was a disaster,” he added with a smile. Though he has quickly grown to love the sport which lets him explore and discover new and exciting trails in some of the most beautiful places on earth, he still manages to give time to his other hobbies. Though running season is still in the distant future, it doesn’t stop Jan from hitting the trails and toughing it out. When I asked him how he survives these freezing winter runs he answered, “wear a jacket when it rains and wear more underwear when it’s cold.” Ever the optimist, this sports junkie doesn’t let anything stop him. Though the Alps are known for their unpredictable weather throughout the year, it seems likely that there won’t be a repeat of the extreme snow, wind and fog at the peaks as there was at the 2018 adidas INFINITE TRAILS World Championships. Jan and Race Director, Mike Hamel, do still request that participants follow every rule regarding what is required equipment that runners must have for the event. For the safety of everyone involved, these regulations will be strictly applied. The list of equipment you will need this June in Gastein/SalzburgerLand can be found HERE. With those final wise words, I’d like to thank Jan Regenfuss for his time and the great effort he and others will go to to ensure the safety but also enjoyment of the runners partaking in this annual race. 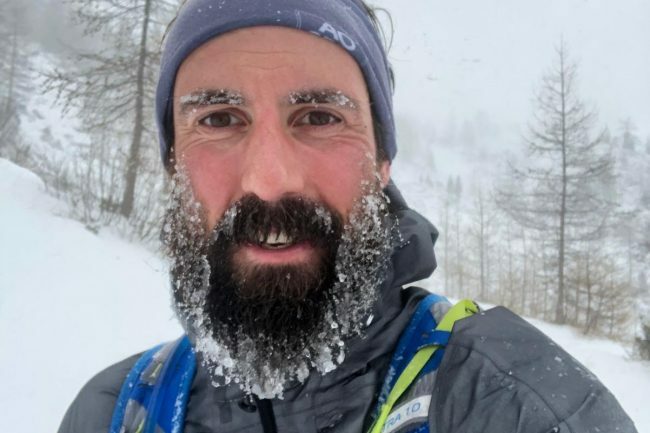 Let’s take heed of the words from this man descended from a line of runners and remember to train well, always bring warm clothes and proper gear for safety and don’t let anything stop us from doing what we love and exploring the great mountain trails of the world. about any of our events or services.